Family history magazines can help you with your genealogy research. 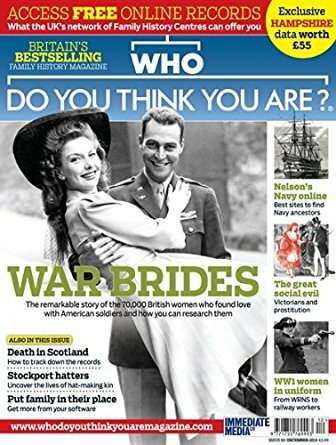 The Discover Your Ancestors Magazine was first launched in the United Kingdom in 2011. This yearly genealogy magazine was so well received that it sold out wherever it was stocked. It can be found in newsagents and bookstores in 11 countries, including Australia and Canada. Bringing the magazine to the public! This publication was followed two years later by the Discover Your Ancestors Periodical magazine that is available online each month. Both of these magazines are aimed at the beginner, although the more experienced genealogist will also find it useful. The aim of these two magazines is to give you insight into the lives of your ancestors. This will help you gain more knowledge about how they worked, their community and also their daily life. From this you will get a feel for your ancestors social life. We all want to know who our ancestors were. But they are more than just a name, a date, and occupation. This magazine CAN HELP YOU truly appreciate your ancestors lives. This magazine with more than 190 pages is perfectly bound and printed on high quality paper. It contains articles that look in depth at the social history of your ancestors. There is also research advice, case studies and how to features. This magazine, as mentioned before, is a great introduction for the beginner. It is also helpful for the more experienced genealogist who may have hit a brick wall during their research. We all hate it when we do hit a brick wall. It can be quite frustrating. So, being shown the way to go next is always quite welcome. Expertly written articles also guide you through various topics which will relate to your ancestors in some way. The easy to read magazine is a great way to learn the genealogy hobby while enhancing your knowledge of the subject. Learning is all part of family history and learning from this magazine can help us understand the live that our ancestors once lived. This magazine is packaged and posted free to your door if you live within the UK. You can also order this magazine even if you live outside the UK, but obviously there will be a charge for shipment. So, even if you don’t live within the UK it is still worthwhile getting as it can help you understand the history of your British ancestors. 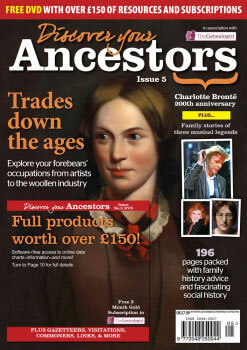 There is also the monthly Discover Your Ancestors Periodical magazine which is 20 pages and is available online. This has been referred to as the online little sister of the annual printed edition. Although it is a small publication each issue is packed full of stories, research advice and case studies. Everything that you would expect from the big brother. You can view this magazine either as a PDF or in a web ready format. Open it up on any device. This could be a Windows or Mac computer, tablet or iPad, or a smart phone. So, this publication is quite portable. Print out the magazine if you don’t want to be staring at a screen. Quite handy if you prefer the paper-based option. Similar to the annual publication you can subscribe and receive the magazine even if you live outside the UK. And you don’t even have to pay for shipping! 4 Different Packs Are Available To You! If you subscribe to Discover Your Ancestors you are offered the choice of four different packs. Each of them offer different bonuses. And when you are ready you may want to go to the next pack up. This pack is the 12 monthly issues that you can receive straight to your inbox. This monthly magazine is sent to you in the PDF format. A bonus with this package is that you get bonus editorial throughout the year. And you will also get free record sets from The Genealogist each month. Not only do you get the monthly magazine but also the 192 page annual edition. This printed magazine is delivered straight to your door freely. Free record sets from The Genealogist also come with this package. 12 monthly issues come with this package as well as an exclusive subscription to data at The Genealogist. You can expect a wealth of information through The Genealogist gives you records about your ancestors at discount prices. Get full access to birth, death and marriage records – worth £40; two sections of Census records – worth £20; premium online tree builder; and an extra record set worth £5. This pack is available to you if you live outside the UK. It offers you the 12 monthly magazines to your inbox, as well as the 192 page magazine. You will also receive free record sets from the Genealogist each month. You’re probably wondering what is The Genealogist that was mentioned in the four available packs. Well, this is a genealogy search website where you can purchase births, deaths and marriages, UK Censuses, parish records, wills and more records about your ancestors. Discover Your Ancestors offer three different packages that will give you varying access to the records held within The Genealogist databases. You can make quite a saving by joining this magazine and getting the bonus records that go along with your subscription. This magazine is quite unique in that it will give you an insight into the lives of your ancestors. It is one of the best genealogy magazines on the market today for the family history researcher. When you start to write your ancestors stories a guide such as this will help you picture what their life was like. I have personally found this quite helpful when I was writing my own family’s history. Using a guide such as this I could piece together their lives and to put it bluntly bring it to life. With both publications you are also able to order back issues. So, if you like what you see with the current issue then you will be able two receive previous issues. By doing this you will find out more about your ancestors as you won’t miss any topic that may concern your ancestor. 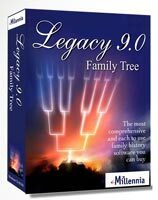 Aimed at both the beginner and experienced genealogist, it certainly caters for all researchers. One thing I like about this magazine is that you can chose which package best suits you. This is one thing that I have not seen with any other genealogy magazine that is available today. Others just seem to offer you a printed version or a downloaded one. The benefits that you gain from Digital Pack Two can be very useful to you. Access to records from The Genealogist can help you further explore their lives. And the savings that you can make from this pack is definitely tempting. If you decide to check out this family history magazine then please come back and let me know what you think of it. I would love to hear from you. To find out more about the Discover Your Ancestors Magazine why not head on over to TheGenealogist website. I hope you enjoyed reading this review about the Discover Your Ancestors magazine. If you have any questions or comments then please leave a comment below. I’ve dabbled in genealogy with my family, it’s so interesting to find out who your family were and what they did. I had a DNA test done a while ago, not through a Genealogy but it was an experiment/ research project conducted by the some of the forensic science officers when I worked in the police. I got a profile back, but have no idea how to interpret it. I wondered if you knew of any services I could send it to, in order to get it analysed? I love your site, I’ve bookmarked it to come back to when I revisit my research. There are a few books you can buy that can help you interpret the results. 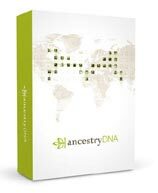 Please check out my What DNA Genealogy Book Shall I Buy? review. The Family Tree guide book is the most popular one so I personally would go for that. Wow, very interesting indeed! Do you know if they address ancestral lives only in the UK or elsewhere in the world as well? The fourth option, Print & Digital Pack (World), you can get the annual magazine delivered to you worldwide. With this pack you will also get the Periodical straight to your email address. And on top of this free record sets from The Genealogist as well. Thank you for enjoying it. This magazine is very useful I think as you get a glimpse of how your ancestors lives were actually like. It’s good to have names, dates and places, but if you have the background to your their lives … well it brings their story to life. I can use bonus editorial through the year. I think digital pack 1 indeed right for me. But do you recommend record sets from The Genealogist each month, are there informative enough? Well if you go for Pack 2 you will get full access to birth, marriage and death records worth up to £40. With this you should be able to find your ancestors. You can also get access to Census information, as well as a free online tree builder. Pack 2 offers so much and at great value.